The “Fantasy Dinner Party” is an old topic of conversation: if you could invite any six people (alive or dead) round for a fancy meal, who would you pick? It’s a chance to say something about yourself, and a great source of debate. They don’t have to be good guys; people often choose characters like ‘Hitler’ or ‘Ghengis Khan’ because they would want to "understand them". Either way, you pick the six most interesting, erudite, and entertaining people that you can think of. 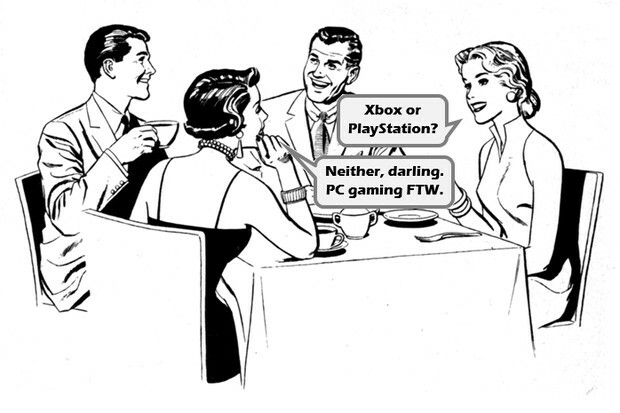 Games and gamers are constantly proving that gaming culture can be a grown up thing. So why not add another grown up conversation? Below is the first of six videogame characters that I would invite to a dinner party. I’ll talk about the other five guests in the following months. This is essentially a chance to celebrate a character I hold in high regard. I’m hoping you will join in with your suggestions. Remember that the notion of a dinner party restricts the conversation to characters that we would want to know socially. You know, the sort that will eat the food you serve instead of trying to eat the other guests. I’ve always had a soft spot for Alyx Vance. 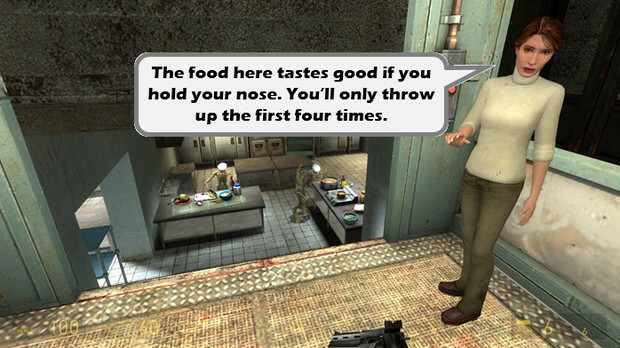 Even in my younger years, when the Half Life series failed to appeal to me, I appreciated what a strong character had been created. Upon replaying the series last month, the brilliance of this character only shone brighter. She’s smart, funny and good company. 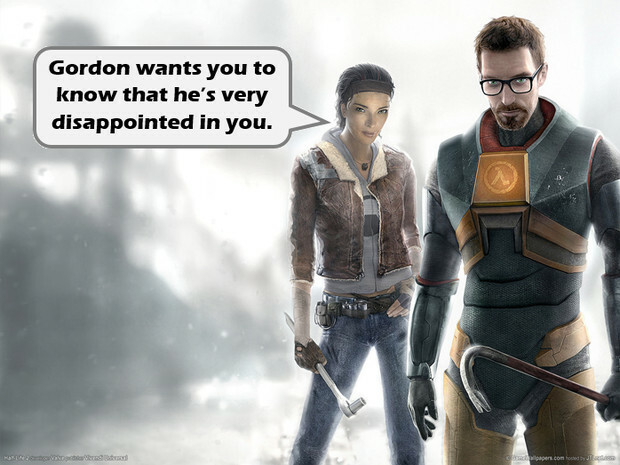 Gordon Freeman is one of the gaming world’s famous silent protagonists. We idolise him in the same way every NPC that meets him seems to idolise him. With no voice of his own, and a void where a personality should be, we are expected to put our own character into that space. Whilst this makes the game more personal, more real for the player, the story lacks the perspective of a central protagonist. Enter Alyx Vance, the deuteragonist that speaks for Freeman. When Gordon Freeman is riding a pimped-out dune buggy through a dystopian waterway, dodging monsters and machinegun bullets, it’s Alyx that remarks on how fun this all is. When things are at their worst and the creepiness level is inching up, it’s Miss Vance that shows fear for both of you. She speaks to other characters whilst you smash boxes. When the game turns dark and sinister, Alyx leaves the room to let the tension take hold. I’ve not mentioned Alyx Vance as ‘dinner guest one’ because she is my favourite character. All six characters are equally important to me. I’ve started with Miss Vance because she would be the easiest to cater for. In more ways than one. Firstly, seating Alyx at the party would prove straightforward, due to her very nature. I can’t think of many people that wouldn’t warm to her, or find something to talk about. Her choice of conversation might turn to the technical – engineering, the sciences, robotics, etc. 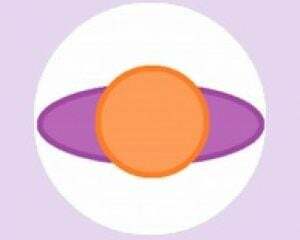 – but her stories working with experimental technologies would entertain most people. Secondly, the catering. 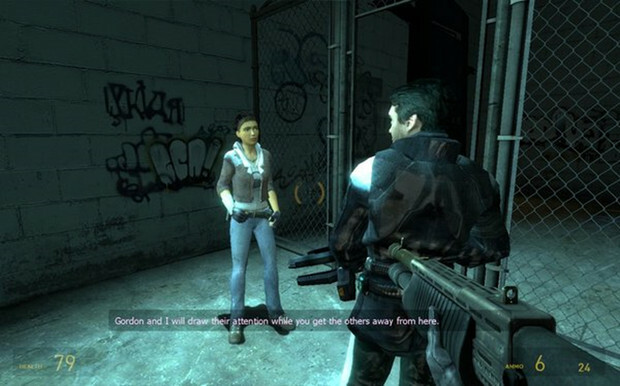 Alyx comes from a grim, dystopian world, where everything is in short supply. I wouldn’t have to go overboard with the food provided, and I can imagine Alyx scoffing at a cuisine that’s made to impress rather than sustain. A good steak, or perhaps a pasta dish, would be in order. One thing is for certain: crab will definitely not be on the menu. As for entertainment, that too should be trouble-free. Alyx has spent a huge portion of her life running and fighting; a laidback evening would be preferred, I’m sure. A game of cards, a lazy chat over beers, something simple to unwind from all those alien attacks. Alyx will probably want to take a look at all the modern gadgets I have around the home… I’d just have to make her promise to put things back together afterwards, and avoid ‘upgrading’ my electronics. If you’ve read this far through this odd little blog, perhaps you agree or disagree with this choice. 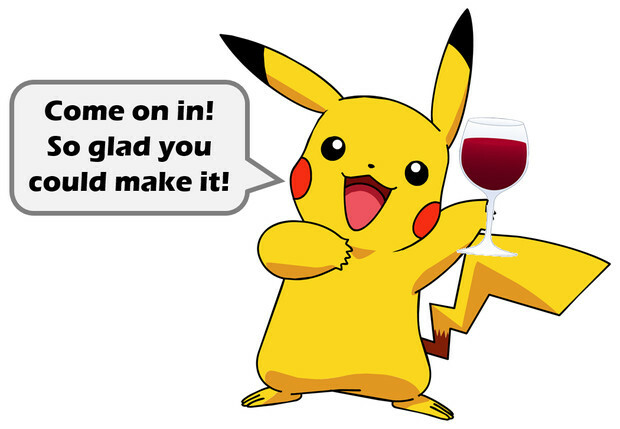 Which videogame characters would you invite to dinner? Which of your gaming heroes/heroines is a person that you could get along with? In the next few weeks, I’ll celebrate five more characters that have deeply impressed me in some way. You might agree or disagree with my choices, or point out an aspect of that person I should consider before I invite them across the threshold.